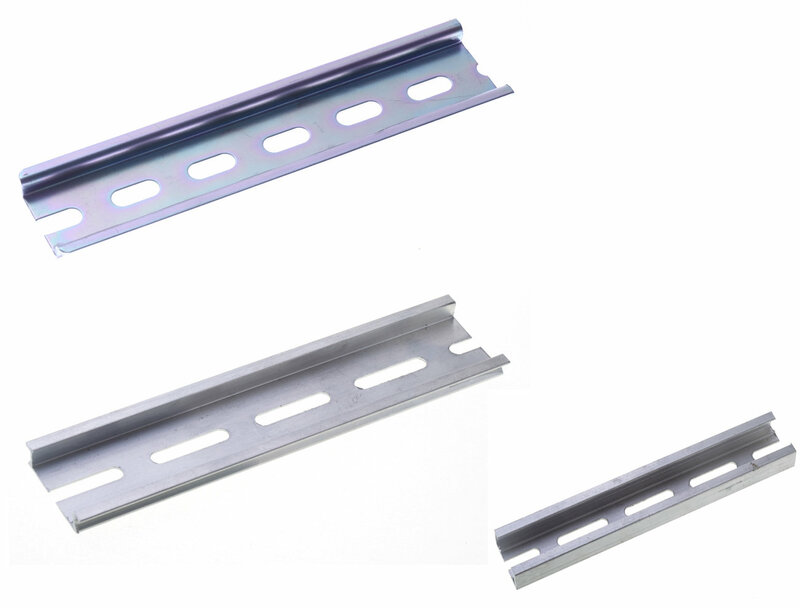 Which type of DIN Rail should I use? / SHINING E&E INDUSTRIAL is a professional manufacturer of Electrical Terminal Block, Fuse Holder, Fuse Block, Solid State Relay (SSR) for more than 35 years. SHINING E&E INDUSTRIAL CO., LTD is Taiwan supplier and manufacturer in Power Distribution Industry. Shining E&E has been offering our customers high quality terminal block, electrical terminal block, terminal block connector, terminal connector, barrier strip, power terminal block, led terminal block, led connector, fuse holder, fuse block, fuse clip, solid state relay, ssr, insulator, busbar support since 1978. With both advanced technology and 35 years experience, Shining E&E always make sure to meet each customer's demand. Shining E&E welcome you to view our high quality products Terminal Block, Din Rail Terminal Blocks, Barrier Terminal Blocks, Ceramic Terminal Blocks, Double Layer Terminal Blocks, Double Row Terminal Blocks, PCB Terminal Blocks, Power Terminal Blocks, Power Splicer Blocks, Power Stud Blocks, Power Splicer with Stud Block, Power Distribution Blocks, Euro Terminal Blocks, Fuse Holders, Fuse Blocks, Fuse Clips, Ferrule Fuses, Solid State Relay, Insulators, DIN Rail, End Clamp Bracket, Power Failure Indicator, Fuse Block Din Rail Adapter, Terminal Jumper and feel free to Contact Us. Q: Which type of DIN Rail should I use?